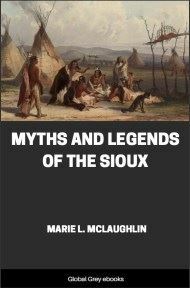 A truly fascinating ethno-biography of an Indian man from the Winnebago tribe. Split into two parts and heavily footnoted. Part One deals with the life of the man as he is growing up in his tribe. He recalls the trouble he got into, his experiences with peyote, his conversion, his time in prison and much more. Part Two contain the teachings of his father and include advice on things like medicine, fasting, marriage and relatives. Originally published in 1920, this is an extraordinarily interesting and honest read. Father and mother had four children and after that I was born, it is said. An uncle of mother’s who was named White-Cloud, said to her, “You are to give birth to a child who will not be an ordinary person.” Thus he spoke to her. It was then my mother gave birth to me. As soon as I was born and was being washed—as my neck was being washed—I laughed out loudly. I was a good-tempered boy, it is said. At boyhood my father told me to fast and I obeyed. In the winter every morning I would crush charcoal and blacken my face with it. I would arise very early and do it. As soon as the sun rose I would go outside and sit looking at the sun and I would cry to the spirits. Thus I acted until I became conscious. Then there were not as many white people around as there are now. My father always hunted. Our lodge was covered with rush mattings and we had reed mattings spread over the floor. After my father had hunted for a considerable time in one place we would move away. My father, mother, older sisters, and older brothers all carried packs on their backs, in which they carried many things. Thus we would pass the time until the spring of the year, and then in the spring we used to move away to live near some stream where father could hunt muskrats, mink, otter, and beaver. In the summer we would go back to Black River Falls, Wisconsin. The Indians all returned to that place after they had given their feasts. We then picked berries. When we picked berries my father used to buy me gum, so that I would not eat many berries when I was picking. However, I soon managed to eat berries and chew gum at the same time. After a while I learned to chew tobacco and then I did not eat any berries (while picking them). Later on I got to like tobacco very much and I probably used up more value (in tobacco) than 1 would have done had I eaten the berries. In the fall of the year we would pick cranberries and after that, when the hunting season was open, I would begin to fast again. I did this every year for a number of years. After a while we got a pony on which we used to pack all our belongings when we moved camp. And in addition about three of us would ride on top of the pack. Sometimes my mother rode and father drove the pony when we moved from one place to another. After I had grown a little older and taller and was about the size of one of my older brothers, all of us would fast together. My father used repeatedly to urge us to fast. “Do not be afraid of the burnt remains of the lodge center-pole," he would say to us. "Those which are the true possessions of men, the apparel of men, and also the gift of doctoring—these powers that are spread out before you—do try and obtain one of them,” he was accustomed to say to us. I would then take a piece of charcoal, crush it, and blacken my face, and he would express his gratitude to me. At first I broke my fast at noon and then, after a while, I fasted all night. From the fall of the year until spring I fasted throughout the day until nightfall, when I would eat. After a while I was able to pass the night without eating and after a while I was able to go through two nights (and days) without eating any food. Then my mother went out in the wilderness and built a small lodge. This, she told me, she built for me to fast n, for my elder brother and myself, whenever we had to fast through the night. There we used to play around. However, before we were able to spend a night at that particular place, we moved away.